Good thing he probably doesn’t understand what everyone’s saying. 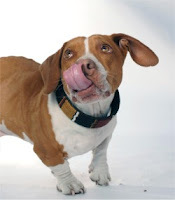 Walle, a 4-year-old beagle/boxer/basset hound mix, won the top honor at the 25th annual World’s Ugliest Dog competition. One judge described the pup as looking “like he's been photo-shopped with pieces from various dogs and maybe a few other animals.” Walle’s owner, Tammie Barbee, knows it’s what’s inside that counts, and says she loves him dearly despite his unconventional looks. What do you think of Walle? Is he really the world’s ugliest dog? Do you have an “ugly” pet?